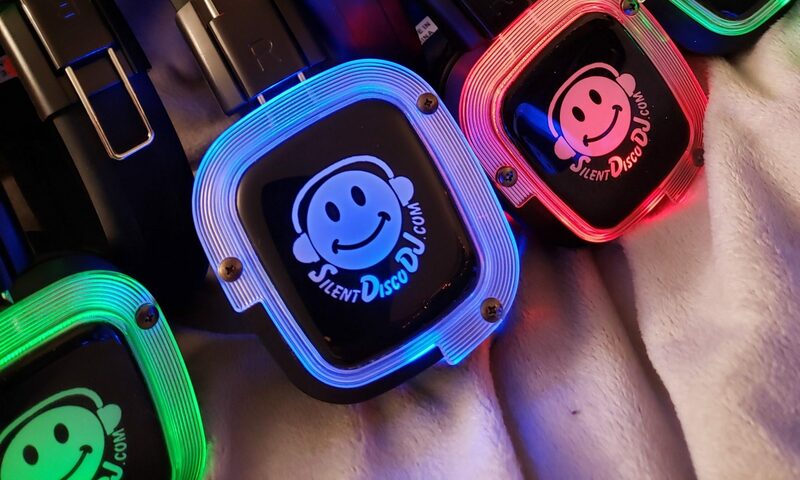 The following video clip from a New York City Silent Disco party gives a pretty good idea of the what the experience feels like and looks like. The language is English once you get about a minute into the video. Are you ready to Rock in Absolute Silence? 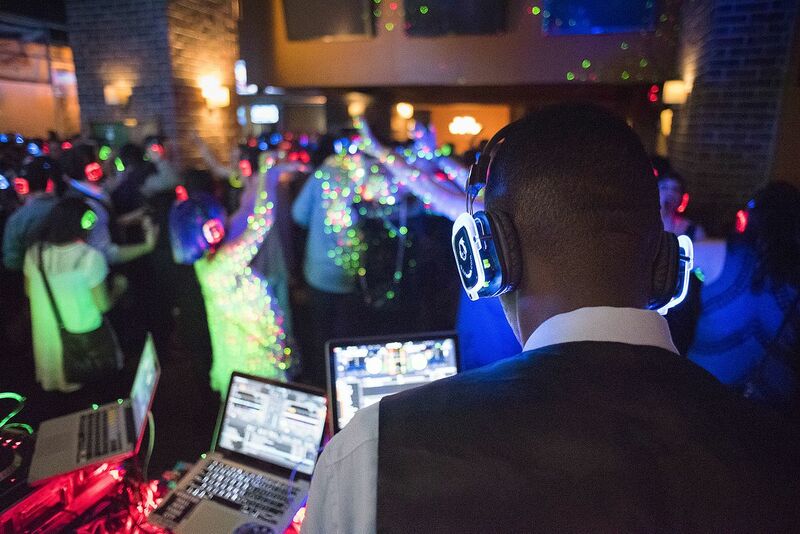 We deliver the equipment you need right to your door and pick it up for you after the party! All dressed up and everywhere to go! -With wireless Headphones! Finally! You can party where you want and as late as you want without disturbing anyone! 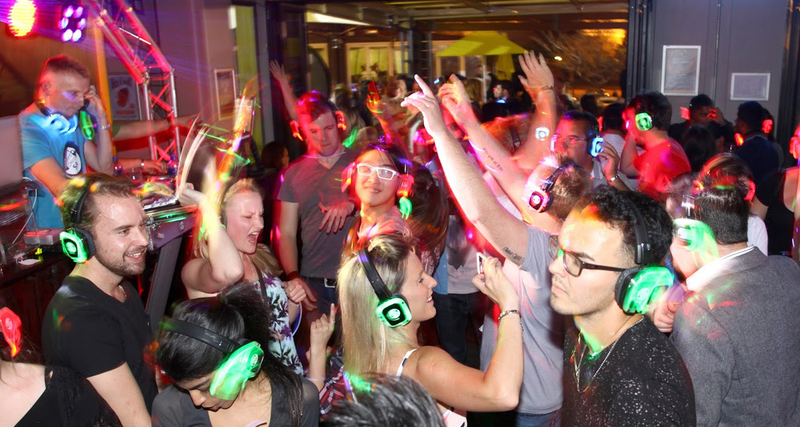 Three channels of crystal clear wireless dance music that you can turn up as loud as you want. Plug and Play ease of use has never been more fun!